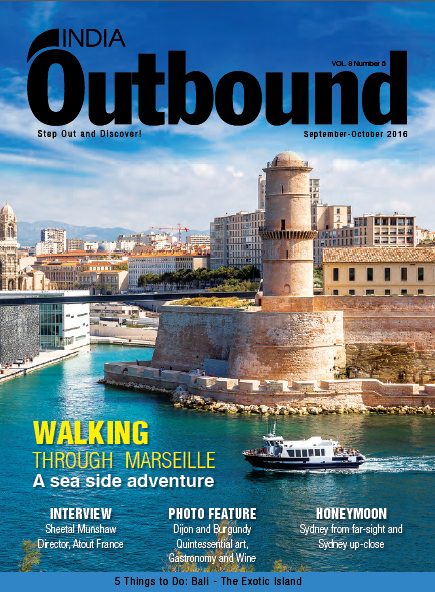 The september-october issue of India Outbound Magazine is now available! In this issue we present you a dossier on France. Even if the destination was hit by a series of terrorist attacks in 2015-2016, Paris remains the most visited city in the world and Atout France, the French tourism development agency, is promoting regions like Burgundy, Champagne, Normandy or cities like Dijon and Marseille. Reunion Island (Indian ocean) and Guadeloupe (Caribbean), both French overseas territories, are reaching out to potential travellers as they are also home to a prominent Indian diaspora. From France, we also take you to the east for a beach holiday in Bali and a honeymoon in Sydney. From travelling for experience, luxury to food or sports, the Indian tourism industry is growing manifold and the world is waiting to be explored. Travels of Nomadic Indian Millionaires - Who they are and where do they go? Reunion Island, still widely unknown despite the breathtaking landscapes and natural sites, is an ideal destination for Indian tourists as well as the Bollywood Industry.